Need a new fence in your yard? 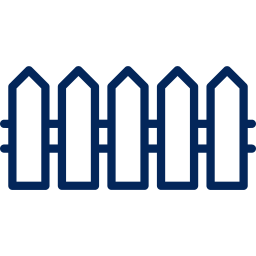 Fencing in your yard yourself could result in a crooked, rickety structure. Instead of trying to go it alone, leave it to the skilled team at Rowe Fence. 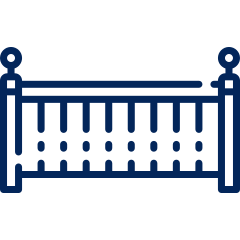 We'll use top-of-the-line equipment, proven techniques and superior materials to build a sturdy, attractive fence. After we're done, you'll be thrilled with the enhanced appearance of your home. Need inspiration? Check out some examples of our work on the Gallery page. Would you like to put up a privacy fence at your house or a high security fence at your place of business? The dedicated team at Rowe Fence can handle the job. 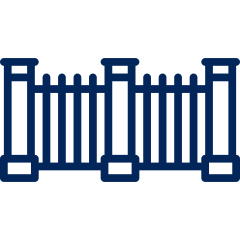 After over five decades of working as a trusted fencing contractor in the area, we've learned the ins and outs of the trade. We can take care of all your fencing needs, from demolishing your old fence to putting up a new, durable one. Contact us today to get a free estimate on your fencing project. Does Your Business Facility Look Lackluster? 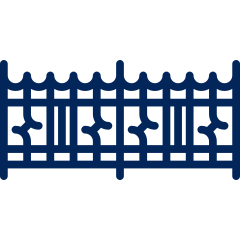 Go to the About Us page now to learn more about our family owned and operated fencing company. Copyright © 2019 Rowe Fence, all rights reserved.